ATP (adenosine triphosphate), the main source of energy in cells, must be bound to a magnesium ion in order to be biologically active. 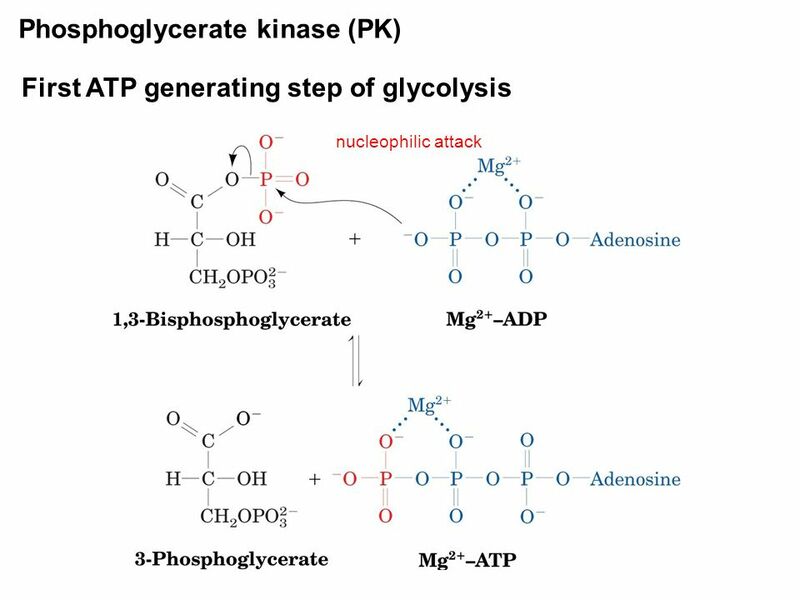 What is called ATP is often actually Mg-ATP. I don't understand why magnesium is essential for breaking the high energy bond in ATP? wouldn't the presence of mg hinder release of phosphate? How does the binding of the magnesium ion to the nucleotide affect catalysis? There are a number of related consequences, but all serve to enhance the specificity of the enzyme–substrate interactions by enhancing binding energy. First, the magnesium ion neutralizes some of the negative charges present on the polyphosphate chain, reducing nonspecific ionic interactions between the enzyme and the polyphosphate group of the nucleotide. …Third, the magnesium ion provides additional points of interaction between the ATP-Mg2+ complex and the enzyme, thus increasing the binding energy. Not the answer you're looking for? Browse other questions tagged biochemistry molecular-biology metabolism enzymes energy or ask your own question. In what two ways is ATP used in coupled reactions?